Actual legislative language for the SGR Repeal proposal has not been released yet. Those familiar with the proposal indicate it would cost $213 billion, only $70 billion of which would be paid for directly in an SGR bill. The rest of the estimated $143 billion cost would be accounted for with spending cuts in the fiscal year (FY) 2016 budget resolution, which was unveiled on March 17. According to a 1-page document that was used to brief Members of the House Ways and Means and the Energy and Commerce Committees on the SGR proposal, the permanent SGR package appears to be almost identical to H.R. 4015/S. 2000, the SGR Repeal and Medicare Provider Payment Modernization Act. This legislation, which is often referred to as the “tri-committee bill,” was agreed to in 2014, by the three committees that have jurisdiction over health care issues. The proposal would ensure a five-year period of 0.5 percent annual payment increases for Medicare physicians and Part B providers. It would provide a 5 percent bonus for providers who receive a significant portion of their revenue from alternate payment models like accountable care organizations (ACOs) and patient-centered medical homes. It would also consolidate the three existing quality programs (e.g., PQRS, Value-based Modifier and Meaningful Use) into a program that rewards providers based on performance. The therapy cap exceptions process would also be extended. While negotiations are fluid, the following is an overview of several additional policies and “pay-fors” that were outlined in a Ways and Means and Energy and Commerce Committee’s briefing document regarding the “SGR Repeal and Replace” proposal. Possibly $12-17 billion in post-acute and long term care pay cuts and approximately $15 - $25 billion in hospital pay cuts over 10 years. The remaining offsets would be accounted for in the House budget resolution. A two-year extension (until 2017) of Medicare and Medicaid extenders, such as the extension of the Therapy Cap Exceptions Process – with no permanent removal of the therapy cap. The Medicare Qualifying Individual program is permanently funded. Extends the Children’s Health Insurance Program (CHIP) for two to three years. Shift in when Medicare Advantage (MA) payments are made to plans. Increased Medicare Part B and Part D premiums for high-income individuals making over $133,000. Starting in 2020, for new enrollees, Medigap first-dollar coverage will be limited. House Leadership would like to bring an SGR Repeal bill to the floor for a vote during the week of March 23 – the same week that they will consider the budget resolution. There also are reports that conservative lawmakers may not support permanently repealing the SGR, when it is not completely paid for. 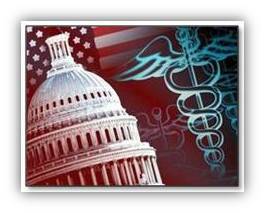 Without congressional action, payments to physicians and Part B providers will be cut 21 percent beginning April 1. NASL will continue to keep our members updated on the SGR Repeal bill. Once more details are known about the proposal, including clarity on cuts to our sector, we will provide NASL members with appropriate messages that they can convey to their Members of Congress, prior to a final vote.